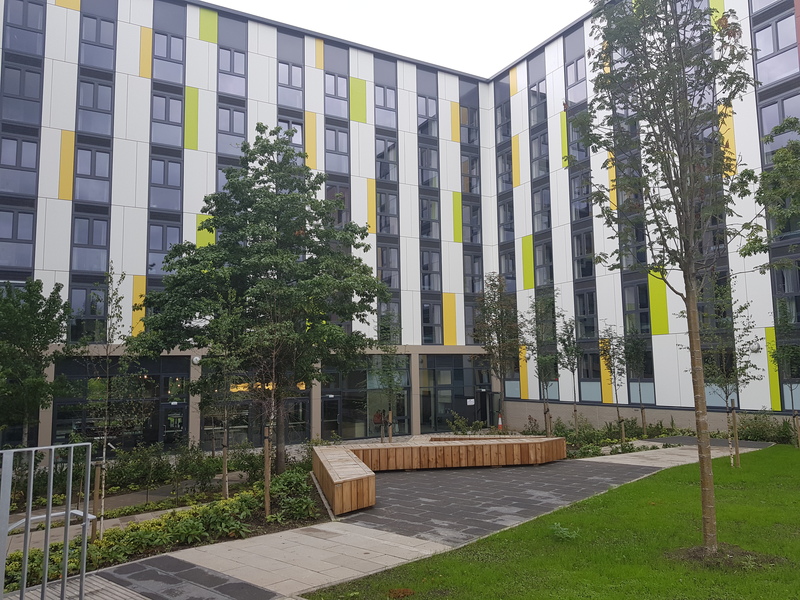 We are pleased to announce the completion of Havannah House, our 458-room purpose built student accommodation, at Collegelands Glasgow. The building was completed by the contractor Robertson on time and budget. The last two weeks has seen some 400 students move into the building which offers a variety of en-suite rooms with shared kitchens and studio rooms all supplemented by generous study and relaxation areas, gardens, gym, a cinema room and an on-site laundry. The building is managed by Homes for Students and is in their Prestige Student Living portfolio.